In The Driver’s Seat of the Westport Twitter account for the next two weeks is Tina H., who is based at Westport’s head office in Vancouver, Canada. Tina works as the director of Westport’s Internal Audit function; she and her team are responsible for helping Westport develop and implement best practices throughout the organization and foster awareness of risk and internal controls. Tina enjoys the “small, big-company” atmosphere at Westport, where the growth over the last few years has been phenomenal, and Tina is seizing the opportunity to take her experience in mature global organizations and apply it to Westport as the company grows further. Tina’s role occasionally takes her away from head office in Vancouver to visit Westport’s operations around the globe, and she has plans to visit all locations over the next 12 months. 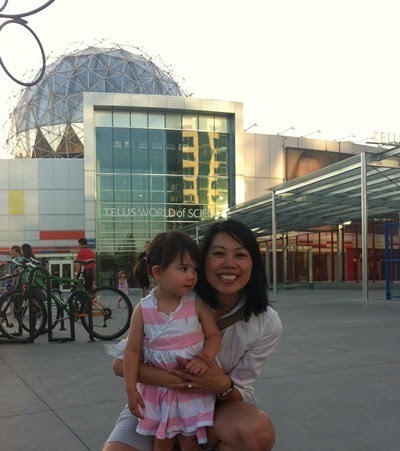 No stranger to travel, Vancouver-native Tina left a decade ago to pursue experience in London and New York. She returned to Vancouver last summer with her family to enjoy a slower paced lifestyle. Tina kick-starts the morning with coffee, but then adrenaline and the fast pace of Westport’s activities carries her through the day. Tina’s favourite food is sushi, which she says is very expensive in New York and London so the plentiful selection of affordable, high quality fish in Vancouver is a treat. Tina claims a nice dinner date-night out with her husband would be her indulgence – a rare occurrence for them, each with a demanding career and a little one in the family. As mentioned, Westporters are taking turns in The Driver's Seat of our Twitter account (@WestportDotCom). To date we've heard from Nick S, Caroline, John L & John H, Astrid, Lance, Monica F, Fabio, Nicole, Ronghuan, Maureen, Manoj, Mats and Tomas, and Melissa, Brad and Jonathan.